Please take the time to read this Benelli TRK 502 Owner’s Manual thoroughly, so as to enjoy all advantages of your TRK502. 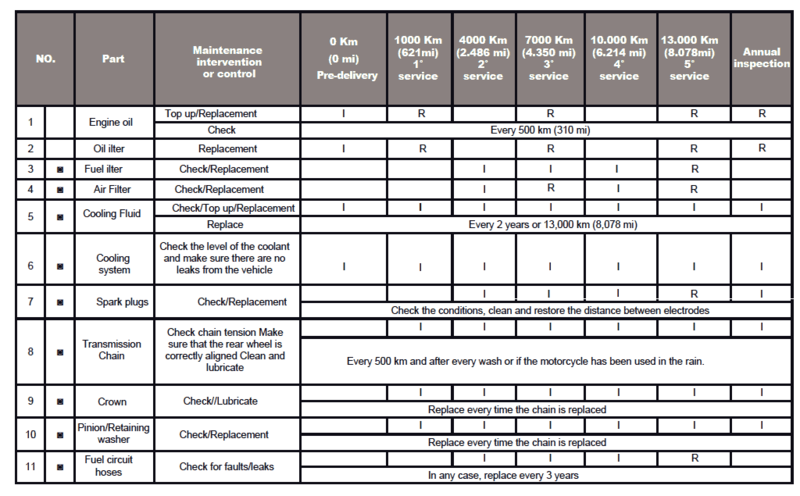 The Owner’s Manual does not only instruct you in how to operate, inspect and maintain your motorcycle, but also in how to safeguard yourself and others from trouble and injury. In addition, the many tips given in this manual will help keep your motorcycle in the best possible condition. 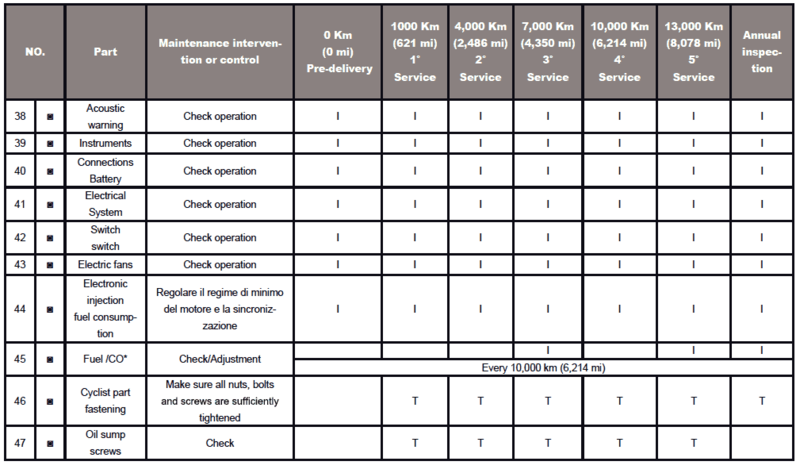 All these information credited to Benelli Italia. 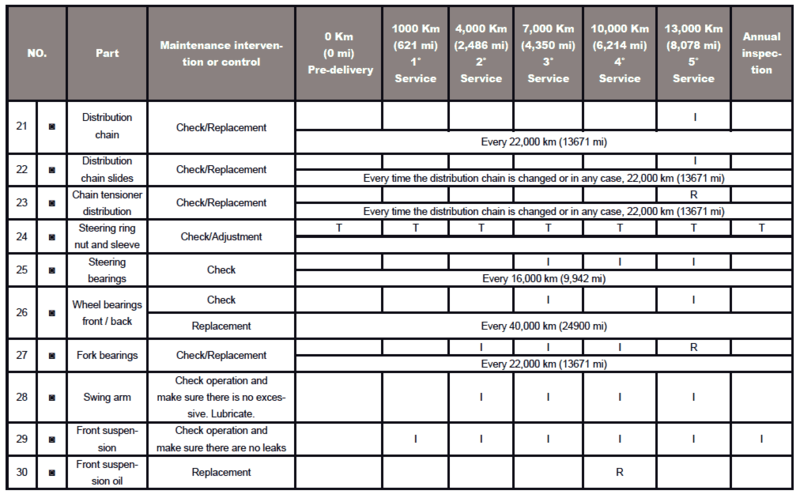 Below are few General maintenance and lubrication chart from the owner’s manual book. 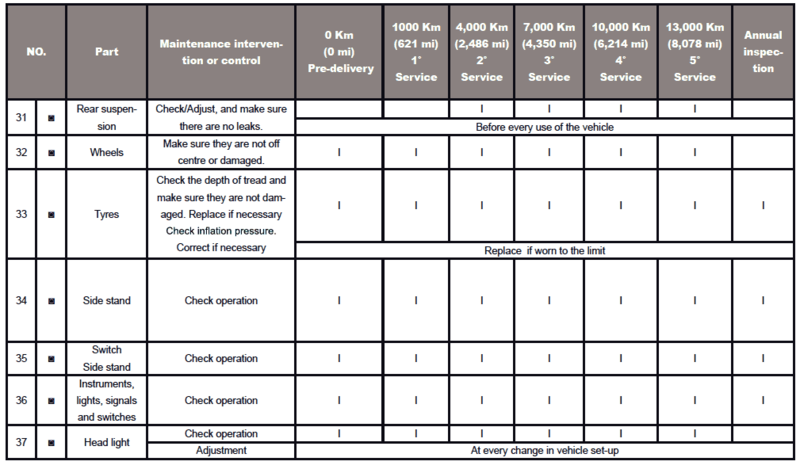 General maintenance and lubrication chart. If you have any questions concerning this manual, please consult a Benelli dealer. What you think about the new Benelli TRK 502? Do you own it? Share with us your thoughts and experience via the comment box below. Also, feel free to share this article via the social buttons.